Flash floods killed at least 13 people in southwest France yesterday, with mudslides that destroy roads and villages. Raging torrents becomes an emergency as the equivalent of several months of rain fell overnight in the space of hours. Four deaths were found around the town of Villegailhenc, near the Aude river in the Aude region. The overall death toll of 13 was given by Prime Minister Edouard Philippe. In Villegailhenc, witness Ines Siguet said the waters rose so quickly that people were stranded on the roofs of their homes and were helicoptered to safety. She posted a video of the ripped-up road where the bridge used to be, with the town now cut in half. Other roads also were flooded, leaving the town cut off, said the 17-year-old whose school was closed. Over 1,000 people in the town of Pezens were evacuated due to risks posed by a nearby dam. 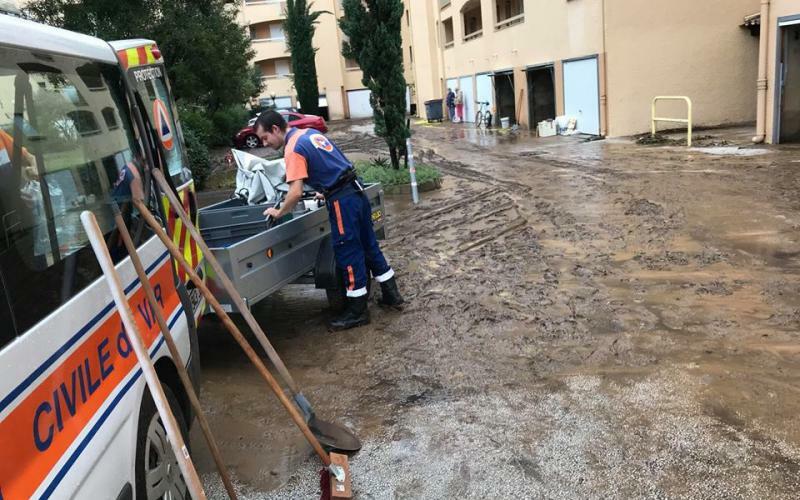 Alain Thirion, the prefect of the Aude, said some of the dead appeared to have been swept away by floodwaters. In the town of Conques-sur-Orbiel, the river rose by more than six meters (20 feet), he said. Floodwaters were in some cases too powerful for the emergency services to get through, even on boats, he said. Television images showed waters coursing through towns and villages, with cars stranded in the floodwaters. Schools were closed and authorities were urging people to stay home.